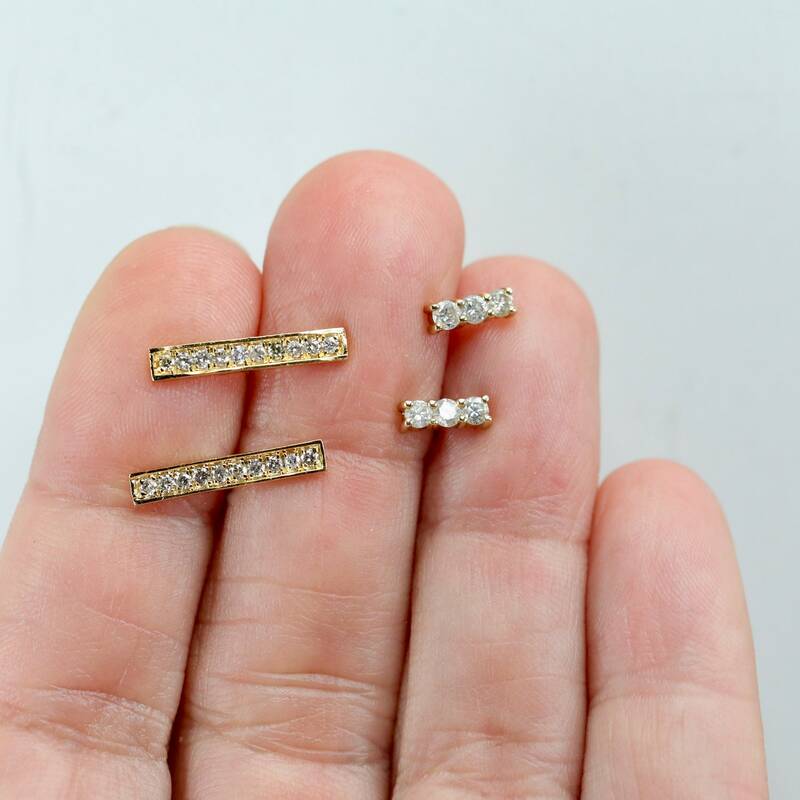 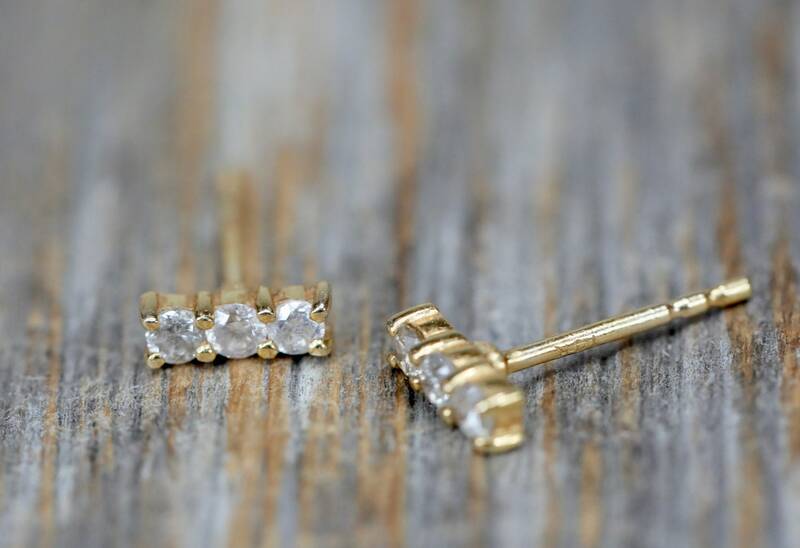 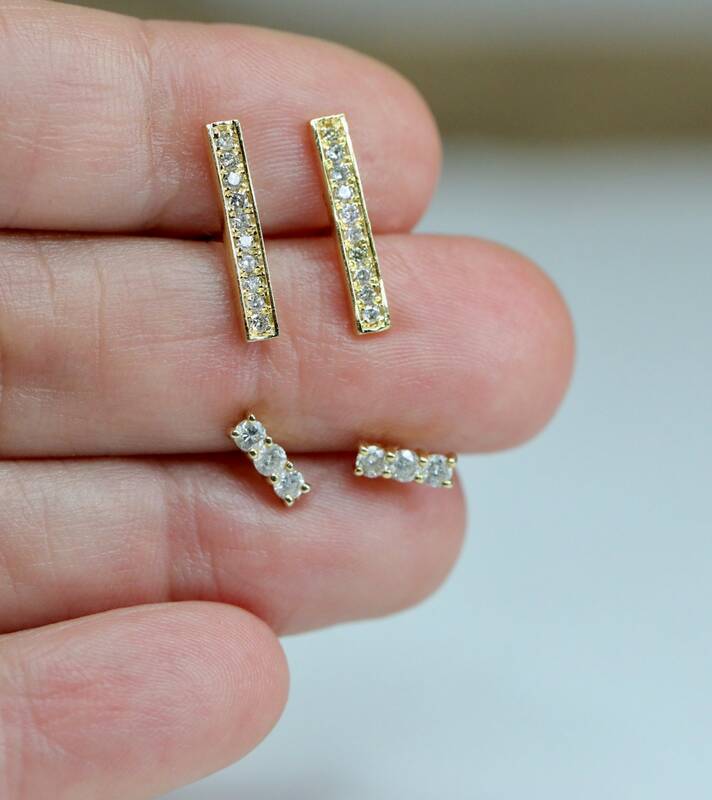 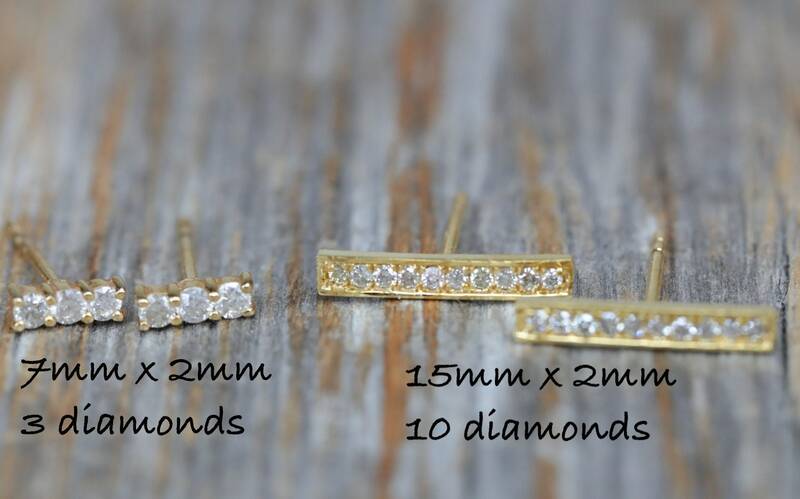 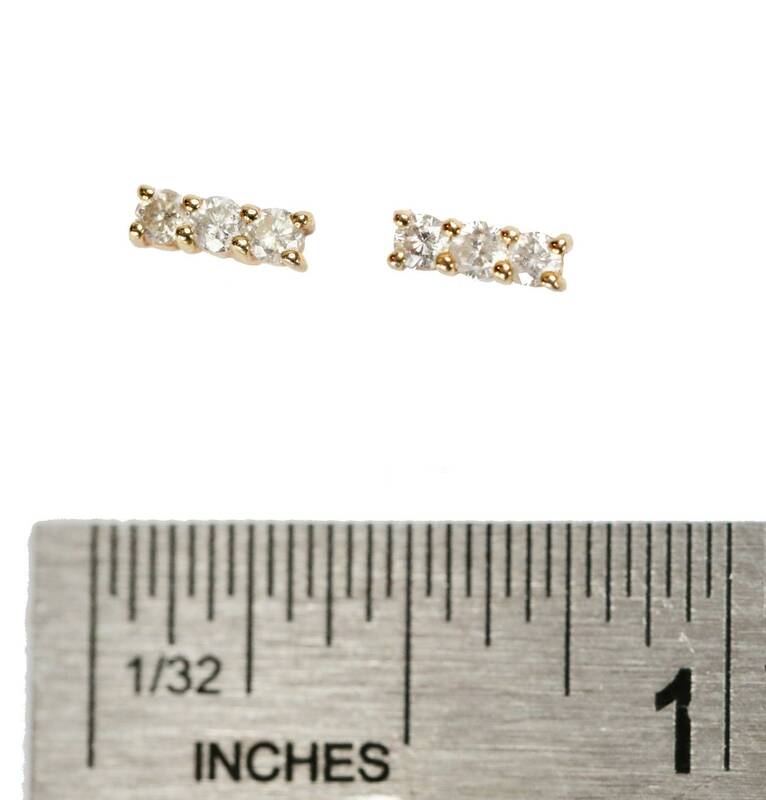 These are SOLID 14 karat yellow gold genuine white brilliant cut diamond staple ( bar) studs. 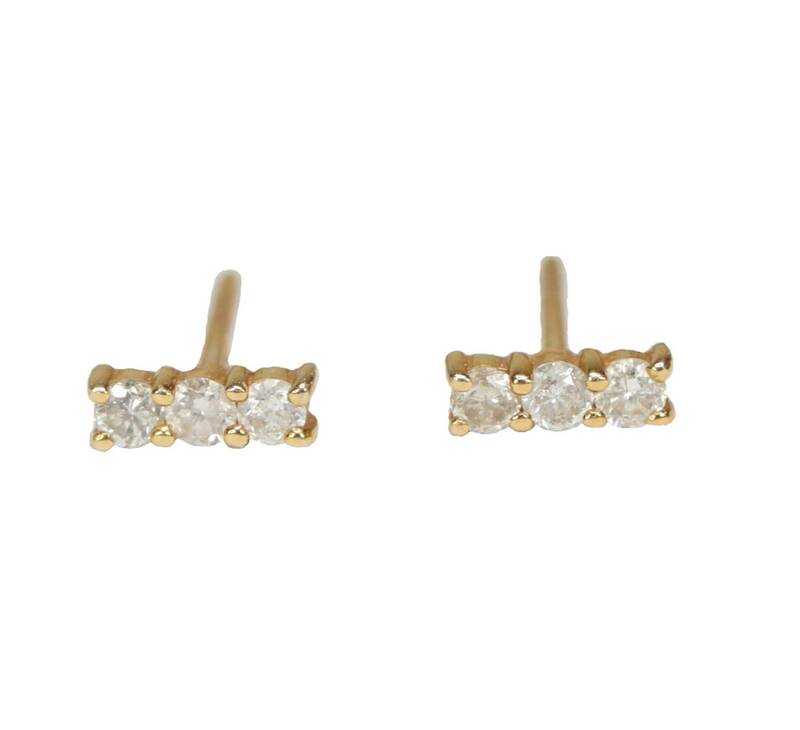 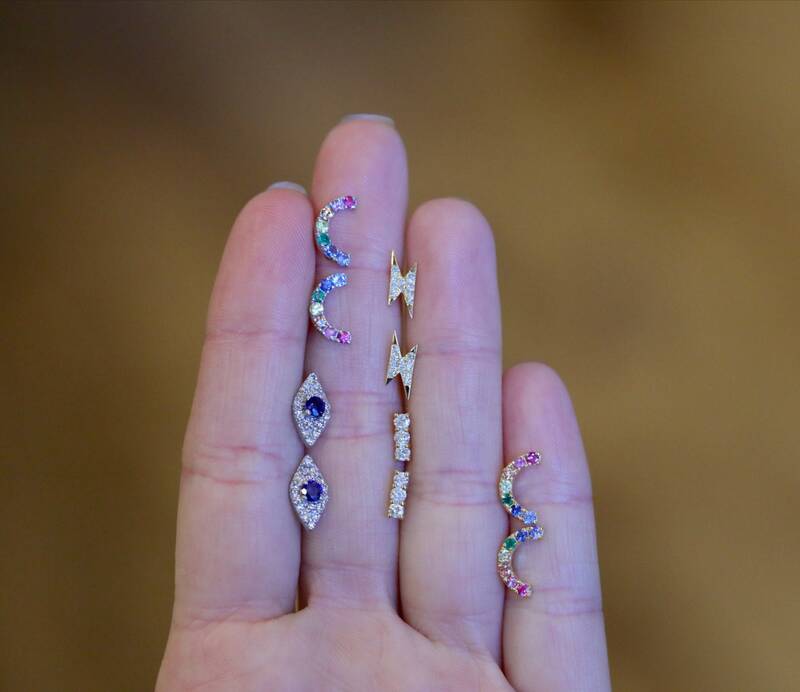 These earrings are dainty and are made with fine white brilliant cut diamonds. 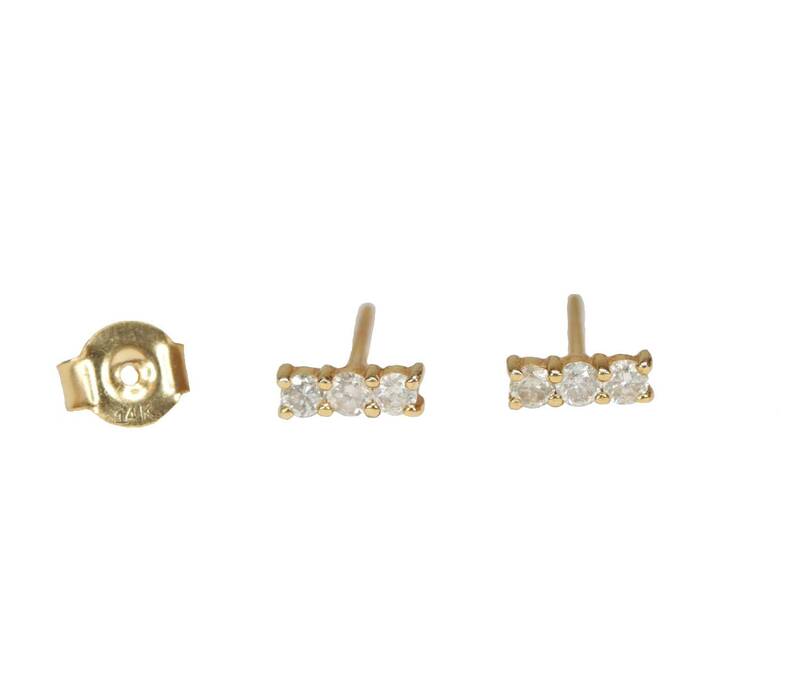 The photo does not do these dainty diamond stud earrings justice. 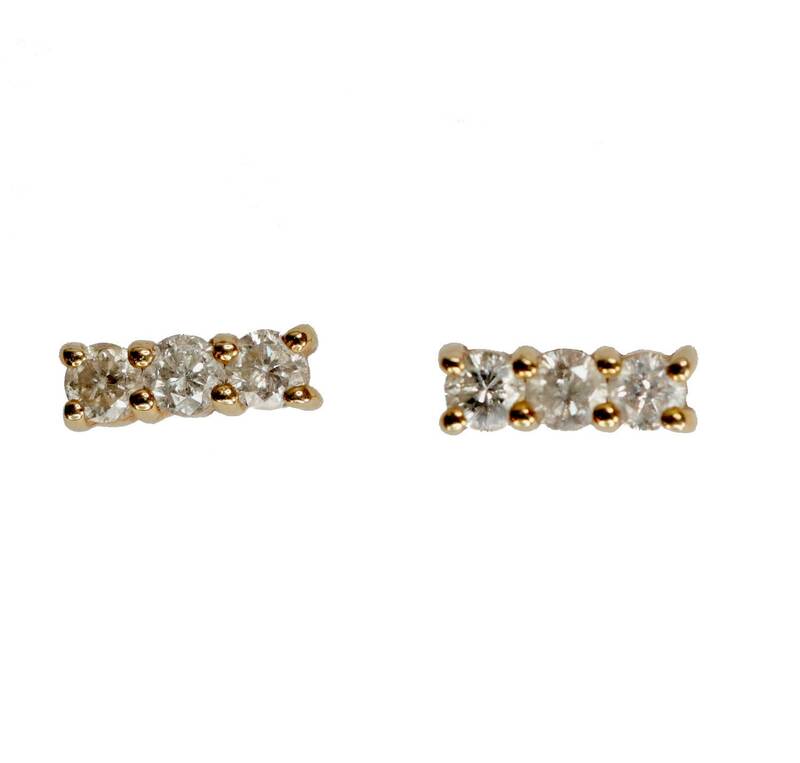 They sparkle beautifully in the light.